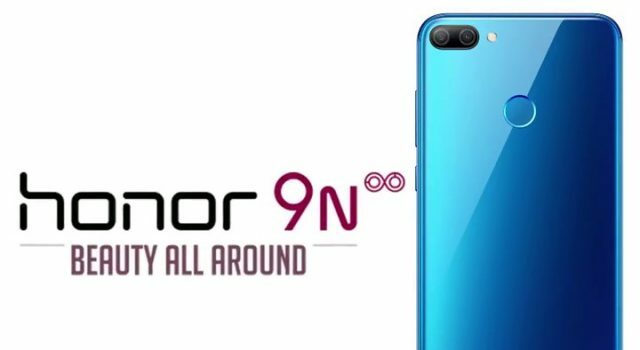 Honor launched its very new series of smartphone Honor 9N with 19:9 Notch full view display with dual rear cameras in JUST Rs.11,999. Honor 9N with 19:9 Notch full view display with dual rear cameras in JUST Rs.11,999. 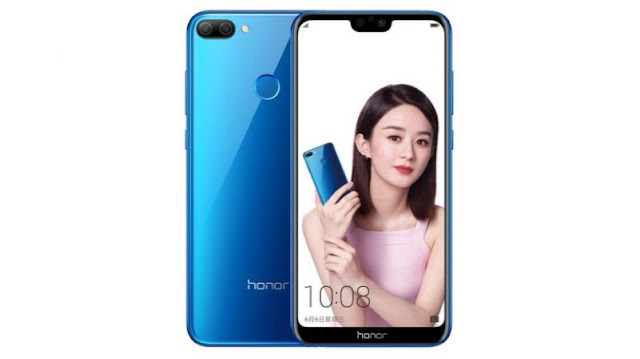 The Honor 9N budget segment samrtphone have 4 color segment Midnight Black, Sapphire blue, Lavender Purple, and Robin Egg Blue Color. Finally Honor 9N launched it will be a tough competition for the Lenovo Z5 and Nokia X5 both phone have a notch display in budget segment. This smartphone have all glass design which comes with thin bezel display with a notch on its top. The Honor 9N will be available in Midnight Black, Sapphire blue, Lavender Purple, and Robin Egg Blue color. Talking about specification of the Honor 9N, This smartphone features 5.48inch full HD+ resolution display with a 19:9 aspect ratio and a notch on top. Notifications are stacked on either side of the notch and it can also be hidden. Lets talk about its processor, Honor 9N uses an Octa core HiSilicon Kirin 659 SoC which is packed with the 4GB of RAM. It comes with a rear mounted fingerprint scanner. Honor 9N have 13+2 MP dual rear camera with an LED flash. While talking about the front camera of Honor 9N then it take a lead with the 16MP of front camera which have 2.0 micron meter pixel sensor size for a better quality in low lighting condition. And also a surprise for users, it support 3D face conturing, face unlock, PDAF and bokeh mode feature. Honor 9N runs on EMUI 8.0 which is based on Android Oreo. I think only cons this phone have is its battery which have only 3,000mAh battery, its battery can be good, coz in this price segment batter battery powered smartphones are available. The Honor 9N will get Huawei’s GPU Turbo Tech via OTA update in future. GPU Turbo is a software update said to reassemble the traditional graphic processing framework at the lower layer system for improving the user experience. Huawei claims that with this software, its devices can deliver faster performance. Huawei also said that even if its device doesn’t support High Dynamic Range(HDR), it will still be able to deliver “outstanding” graphics quality with GPU Turbo Tech. Honor 9N comes with some interesting feature which has been taken from other Huawei Honor P20 Pro. Phones comes with a Paytm Pay Feature which uses fingerprint to direct pay the user to pay page of Paytm. Also user can set preferred finger for faster payment experience. The phone also have a feature of Ride Mode, Which ensure the safety of riders by keeping them away from unwanted direction on their phone while driving. This phone also have a party mode which connect 1 master device to 6 other devices to play in-sync music. Honor 9N 3GB/32GB variant will be cost at Rs.11,999. The 4GB/64GB will be cost at Rs.13,999, and 4GB/128GB will be cost at Rs.17,999. Jio custmers will get Rs. 2,200 of cash back with the device, which will be available as 44 cash back voucher of Rs. 50 in the customer MyJio app. along with 100GB of additional data. Buyers of the phone will also get a Rs.1,200 to shop on Myntra. Comment Your Opinion on Honor 9N with 19:9 Notch full view display with dual rear cameras in JUST Rs.11,999. Thanks for reading. Previous articleTecno camon iTwin launched here is the specification, price and features. Next articlePUBG mobile v.0.7.0 update with a new war mode for Android and IOS.